Terroirs Originels brings together a community of 25 vintners who continue to farm their land independently and all share the same passionate integrity to bring out the best authentic expressions of their specific heritage. The notion of conserving terroir is their priority and its protection is a vested commitment of each estate. Lucien Lardy is proud to continue his family’s legacy of maintaining a French heritage by caring for historic vineyards in the famous cru villages of Fleurie, Morgon and Moulin-À-Vent. He vinifies each of his plots individually to achieve the true expression of each of his vineyards. In the process he creates complex wines that display the best characteristics of their terroirs. A beautiful expression of an unmasked Chardonnay that lifts up your spirits with wonderful nuances of pears, apples and a hint of citrus. 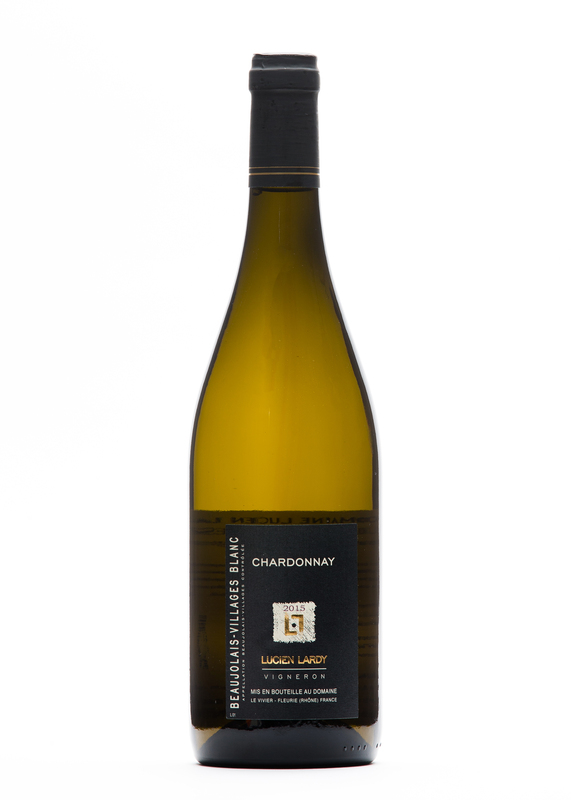 A refreshing style of Chardonnay that will lift up your spirits and spark a lively conversation amongst friends. Enjoy with lighter fare such as salads, fish, poultry and white sauce pasta. A wonderful expression of Gamay, bright characteristic with bursts of cherry that will liven up the palate. A year-round, easy drinking and heart-warming red wine, evoking images of walks through forests and picking wild berries from the bushes. Excellent choice with barbecued meats, grilled fish, salads and Asian cuisine. Enjoy slightly chilled. A very powerful interpretation of Gamay, grown on vines that are older than 70 years. A red garnet colour with purple tints. In the nose an immediate aroma of blackcurrant and its flowers. A very full palate, rich with a tender smoothness, leading into a bright, fruity finish. A great accompaniment to any formal dinner and special occasion. Pairs very well with cassoulet, roasted duck, beef, venison, and game birds. Also stands up to marinated lamb and pairs elegantly with salmon.